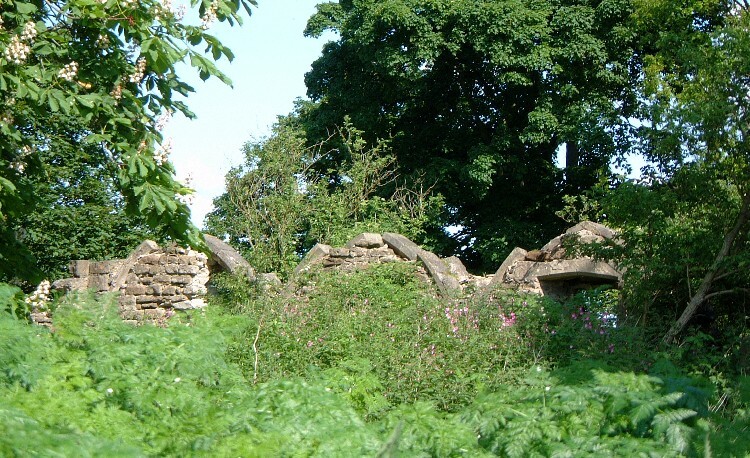 The ruins of Haughton chapel stand secluded in a small spinney on the south bank of the river Maun, surrounded on three sides by extensive ploughland. 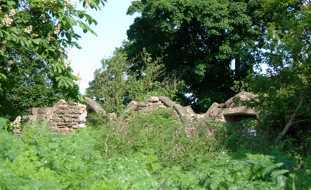 There is no village in Haughton today and the ruins are isolated from the few scattered dwellings of the parish. Only the infilled arcading of a once-existing aisle, in its present surviving form representing the north nave wall, stands to any significant height. Collapsed masonry and rampant undergrowth obscure other vestigial vertical structures. In the Domesday survey Haughton has no church, but Saxo-Norman architectural elements indicate that building probably commenced soon afterwards. Constructed of ashlar, dressed coursed rubble, and coursed rubble, in a simple nave and chancel form, its dimensions closely replicate those of many other early Norman churches. Structural enhancements were effected in the late twelfth, fourteenth, and sixteenth centuries. Originally serving as a small parish church, its function changed to that of domestic chapel to Haughton Hall at the emparkment of Haughton in 1509. From the beginning of the eighteenth century when the Hall was abandoned, the unused and neglected chapel fell into ruin. Considerable deterioration has occurred despite Grade II* listing in 1952.